Let Your Light Shine | ". . . let God be found true, though every man be found a liar." A story is told of a European nobleman a few centuries ago who wanted to leave a legacy in his tiny mountain village. He finally decided that he would build a church building for his village. He kept the plans for this church building secret and no one was allowed on the site until the construction was completed. At the unveiling of the building someone noticed that there were no lamps in it. When he asked the nobleman about this, he pointed to brackets on the walls lining the interior of the building. He then explained that he was giving a lamp to each family in the village. Each time that family attended worship the area where they sat would be illuminated. If they did not attend, that area would be dark. We generally apply this teaching to our activities among unbelievers. 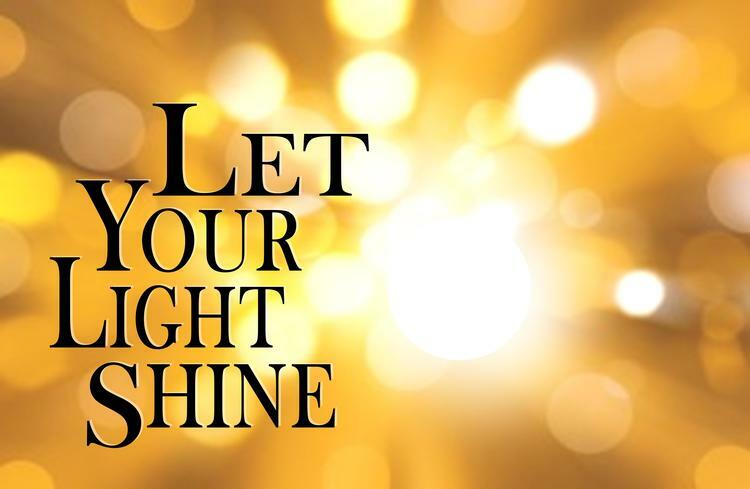 We speak of “letting our light shine” by living righteously before them. We correctly understand that our righteous conduct is instrumental in leading the lost to salvation in Jesus Christ. The light of our Savior shining in us will draw the lost to Him. However, there is another sense in which this teaching may be applied to our daily living. Like the church building in that mountain village, we illuminate the body of Christ every time we come together as God’s people for worship or Bible study. Each one of God’s people who is present in the assembly contributes the light of his or her presence to that assembly. The cumulative effect of God’s people being assembled together is a light that warms our souls and encourages our spirits in our journey to eternity. We often speak of there being strength in numbers, and this is especially true in terms of our light. A single light in a dark room is helpful and comforting, but if everyone in a dark room shines his or her light, the darkness will be completely eradicated. Conversely, a room that is brightly lit by many lights becomes darker as each light is removed or extinguished. As more lights are removed the darkness deepens until it becomes the predominant feature of that room. Our absence from the assemblies of the church makes those assemblies a little less bright than they would otherwise be. Our absence dims the collective influence of the body of Christ because we are not letting our light shine. Our brothers and sisters can tell the difference, and so can the unbelievers. A Christian who is willfully absent from the assemblies of the church is hiding his light by doing so. He is contributing to the darkness that characterizes the world. He is robbing his fellow Christians of the support and encouragement they need, and his example tells unbelievers that the light of Christ is not as important as other things in life. Each Christian is a lamp. We are to let our light shine so that our Father in heaven will be glorified, and so that the body of Christ will be illuminated. Part of how we do this is by our godly example each and every day. Another part of how we do this is by our faithful attendance in the assemblies of the church. Each Christian’s light is important in God’s eternal purpose. With this in mind, where will your lamp be this Lord’s Day?